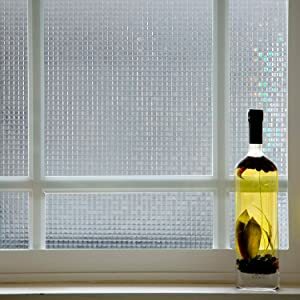 USER-FRIENDLY: Super easy to apply within just minutes with the help of a small squeegee. 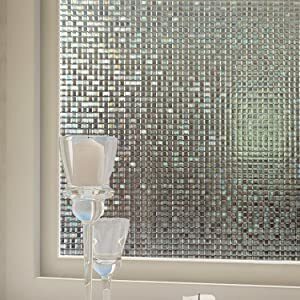 Our customers can't stop raving about how much they love our Cut Glass Mini Mosaic Decorative Window Film! 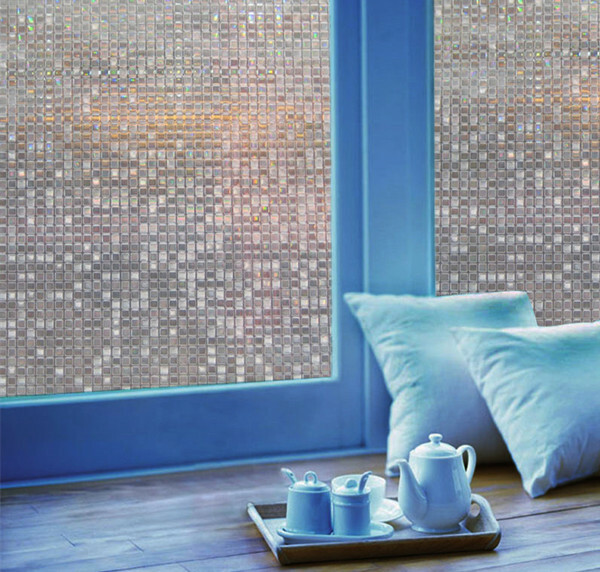 The unique design of this window film is highlighted by the elegant mosaic pattern which gives off a colorful prism effect when the light hits it. 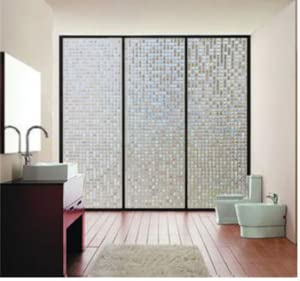 The shades of color subtly change depending on the direction and intensity of the sunlight. 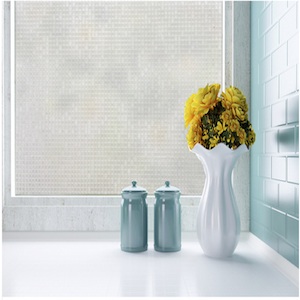 Not only will it look fantastic on your window for years to come, it's also incredibly easy to apply. 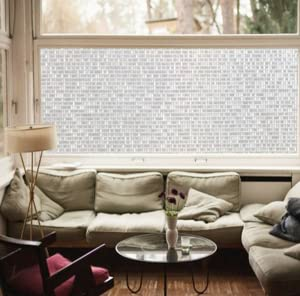 Since there is no adhesive required in the application process of our self-adhering film, you will be able to remove it and re-install it if need be without leaving behind a mess on your glass windowpanes. Tips for installation: ^^Clean your window thoroughly ^^Measure the size of your window both width & length ^^Cut film into proper size , approximately 1 inch larger than the window ^^Wet the window completely ^^Peel off the backing clear protective film gently ^^Position the film against the window and use your finger to press across the entire top of the film to allow it grip slightly ^^Smooth out the film with the squeegee, make sure no air bubbles left inside ^^Dry off your window with the rag entirely, cut the excessive bit slowly. NOTE:peel off the window film along green arrow; Smooth side stick to the window.